Stained carpet in Sacramento, California. Van’s Chem-Dry’s is well-known for being able to get almost any type of stain out of your carpet. We have all the proper equipment and training necessary to handle even the toughest stains. Before you pay for replacement carpet or furniture, consider our affordable Stain Removal service to save your investment! Your best chance for carpet stain removal is to act as soon as possible after the stain occurs. The longer a spot sits on the carpet or upholstery, the harder it becomes to remove. While most stains can be removed, some may require advanced technical skill and expert cleaning solutions. Chem-Dry leads the industry in products and solutions, helping you win the battle against tough stains. You can always count on our team of dedicated professionals! All Van’s Chem-Dry technicians are trained at removing nearly any type of stain. We have had success removing carpet & upholstery stains such as berries, nail polish, juice, rust, blood, jelly, candy, coffee, honey, red punch, mud, lipstick, ketchup, marker, soda, vomit, urine, wine, and many other stains. 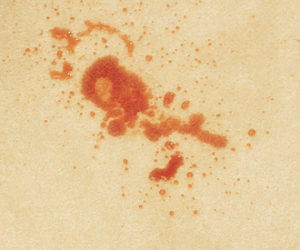 Each stain is somewhat unique, but our staff is armed to battle even the toughest carpet & upholstery stains. If you want to know if Van’s Chem-Dry can remove a stain call us at (916) 641-0144 and our helpful staff will let you know what we can do for you. If you’ve tried other cleaning services that were unsuccessful at removing a stain, don’t give up hope yet! We know it can be discouraging after repeated failed attempts, but Van’s Chem-Dry has gained a reputation for being the company that consistently removes the stains and spills that other carpet & upholstery cleaners simply can’t. We stand by our motto – “If we can’t get it out. No one can.” Our employees are all certified and trained to use each tool to perfection, resulting in a high chance of our technicians being able to remove the tough stains. Our technician will prepare an on-site evaluation for any stains and provide a no-obligation estimate. Schedule your appointment today with Van’s Chem-Dry!